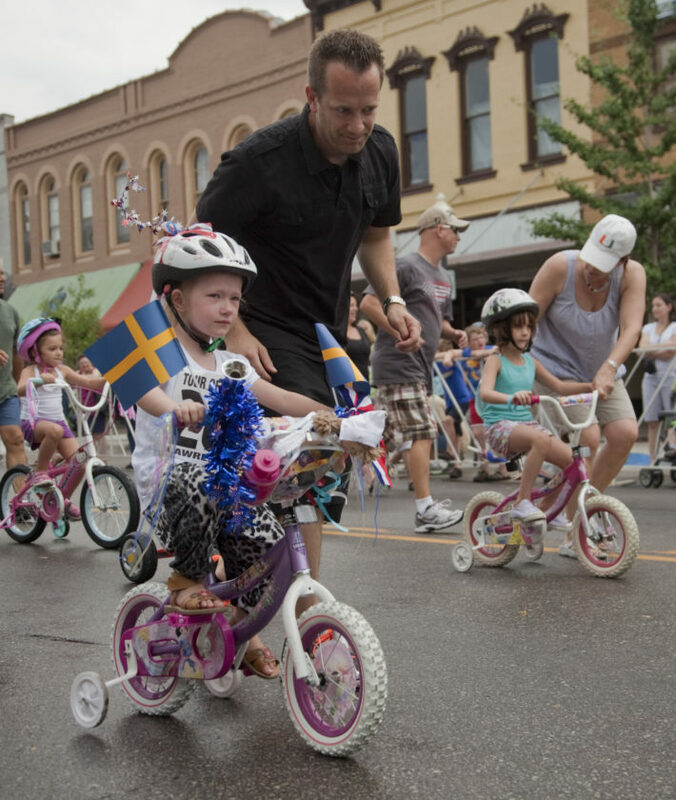 Peter Olsson, Lawrence, runs beside his daughter, Ammea, 4, during the youngest age group of the 2011 Tour of Lawrence kids bike race events Sunday, July 3. 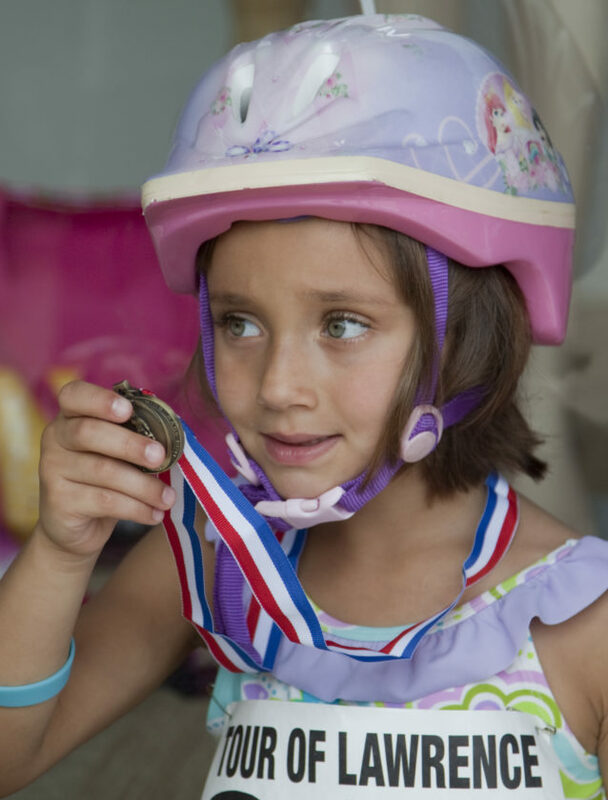 Elaina Zung, 4, shows off her medal after one of the 2011 Tour of Lawrence kids bike race events Sunday, July 3. 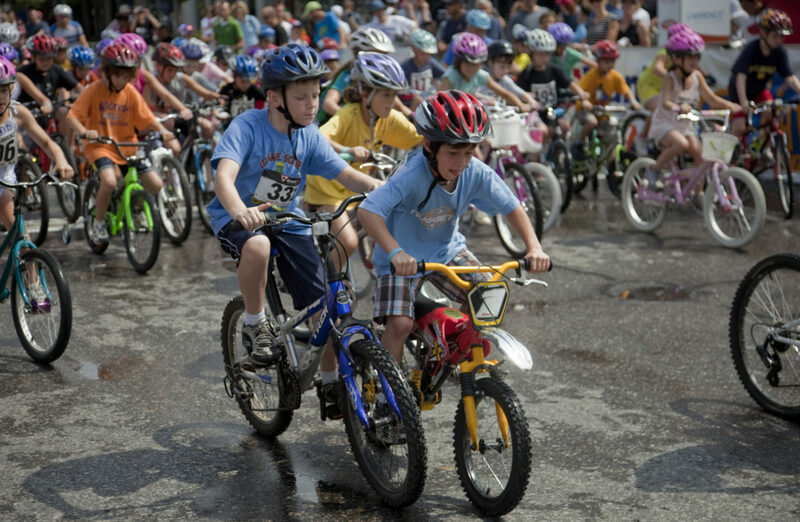 Two riders nearly collide during one of the 2011 Tour of Lawrence kids bike race events Sunday, July 3. 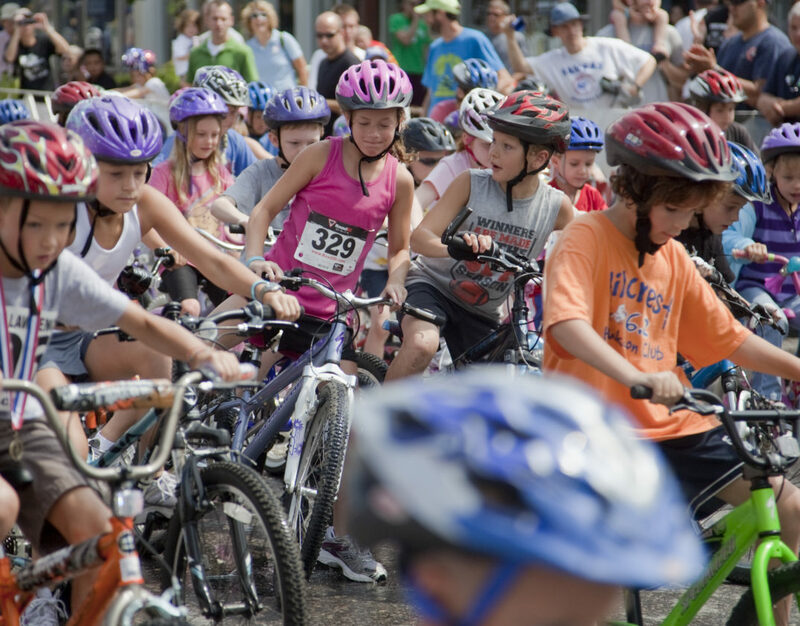 Two young cyclists collide at the start of a heat during one of the 2011 Tour of Lawrence kids bike race events Sunday, July 3. 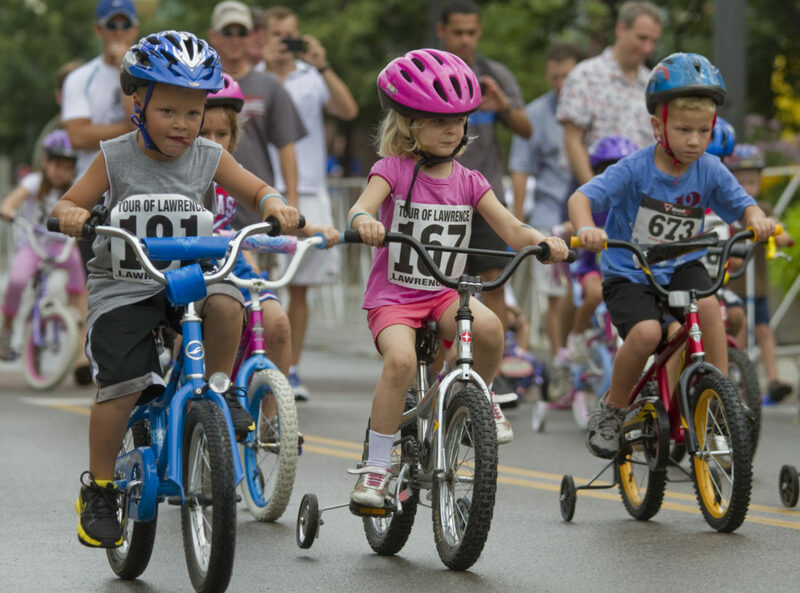 Young riders compete during one of the 2011 Tour of Lawrence kids bike race events Sunday, July 3. 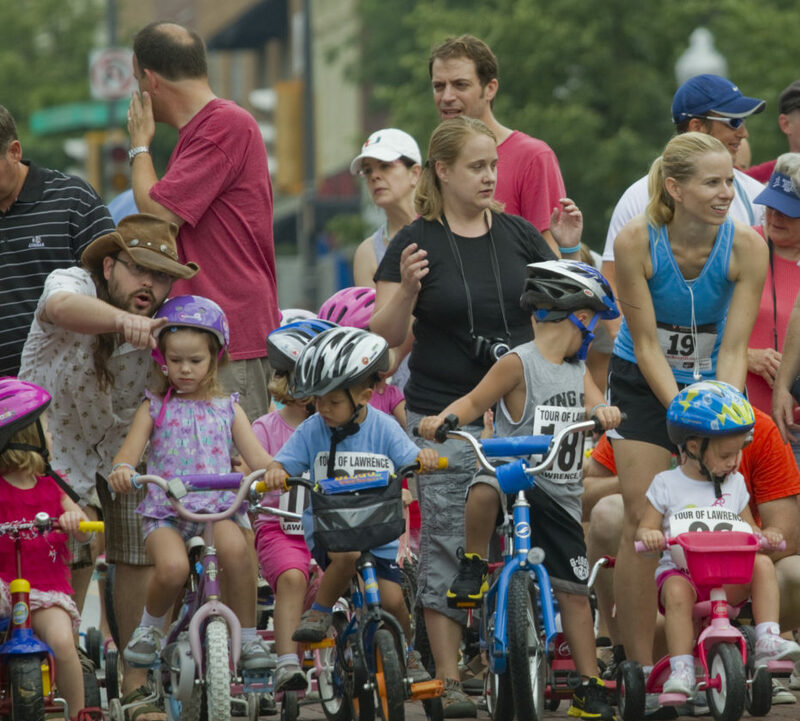 Parents ready their children for one of the 2011 Tour of Lawrence kids bike race events Sunday, July 3. 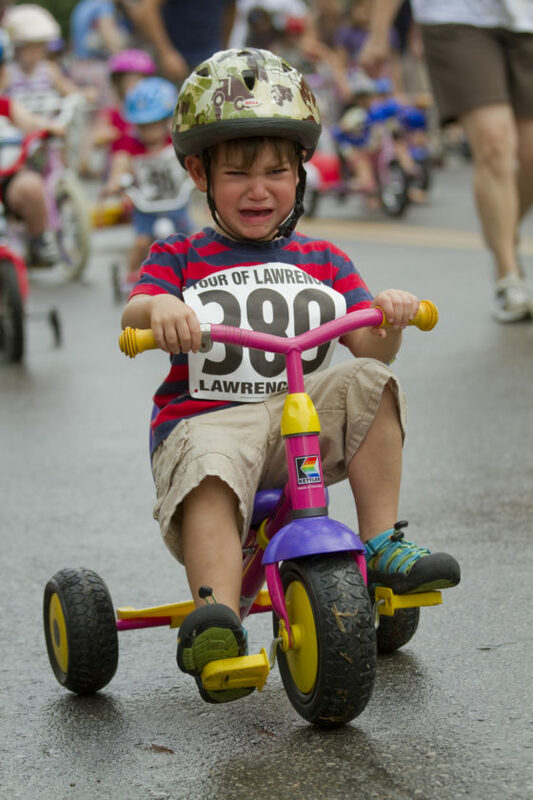 After a rough start off the line, a young tricycle rider speeds down Mass. Street during one of the 2011 Tour of Lawrence kids bike race events Sunday, July 3.